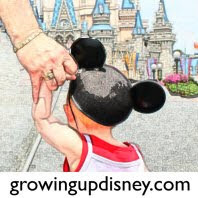 Growing Up Disney: Cameras on Vacation: Rentals? If you are a photography enthusiast like me and enjoy getting “that” shot while you are at Walt Disney Word or maybe you just want to try some new things with either your camera or a different camera then renting could be just what you need to do. My personal camera that I have captured all my “working” shots with is a Canon T1i. It is a wonderful camera and still has many years of life left in it. I have worked hard with it to learn how it functions, what all the bells and whistles do and what all the settings are and how they can affect the shot. The result is I take fewer pictures than I used to but I get better results. There are so many things you can do to create those memories and one of them is by having different lenses for specialty shots that make everything unique. So what are the options? You can go and spend thousands of dollars on accessories and saying thousands isn’t an exaggeration when it comes to cameras and accessories. If you don’t want to make an investment in something like that without trying it first, a better option might be to rent a camera or a lens and see how it fits into your particular style. Lenses like fisheyes and tiltshifts are special and require a little know how to get those great shots. I have wanted to try a real fisheye lens for some time but the cost of the lens just wasn’t in my budget. This places me squarely into the rental market. What to rent? Kingdom Camera Rentals has several camera and lens options to choose from both on the Canon and Nikon sides of the fence. As we have covered on many occasions I am a Canon shooter. So this time down I wanted to try an upgrade to my camera, the Canon 7D. I have a Canon T1i that I love. It has provided me with some excellent work but I am interested in one day upgrading to a higher end camera so what better time than at Walt Disney World to try out something new. My first impression of the 7D is that it is much heavier than what I am used to. I won’t get into a lot of technical stuff but it has a lot of heft to it, I’d say close to a half pound more than the T1i. It doesn’t take long to get used to the extra weight and you are in business. There are several hurdles to overcome if you have never used a 7D, even if you have used other Canons. The T1i shares similarities with the other cameras from the Rebel line making, in my opinion, it a little easier to transition from model to model. The 7D is a different animal. The controls are altogether different, other than the selector nob on the top. In the kit that Kingdom Camera Rentals provides there is a quick start guide that is a big help to get the basic controls. However even with the guide I needed a few hours to remember how everything worked. I tend to shoot on the manual settings, but there are auto presets. One thing I was very impressed with is the low light capability. The ISO can be set really high, combine that with a large aperture and a quick shutter speed low light pictures turned out so much better than I expected. I love to take pictures with no flash if possible and the 7D made it easy. Daylight photos were a breeze after making adjustments. If you shoot on auto during the day the pictures turned out really well. I wouldn’t recommend the 7D if you are a novice shooter. It wouldn’t be the best camera for a family just down for a vacation, but if you are experienced it is a perfect replacement to have so that you don’t have to pack all your own gear for a plane ride to Orlando. When you rent a camera from KCR they provide the camera body, a Lowepro camera bag, and multi card reader. What you will need to accompany the 7D is a CF (compact flash) card because those are not provided for you. Also lenses are not included; you would want to make sure that you reserve a lens at the same time. I recommend the 18-250mm that I used on my last trip in November. The lens I chose to use this trip is the fisheye. I love to look at fun fisheye pictures and I have been waiting to use a high quality lens for a long time. You know what I found out? I don’t have an eye for the fisheye. Try as I might I just couldn’t find a view that I loved from it. For me finding the right subject, light and composition…. It just didn’t come as an easy thing and I didn’t want to just recreate shots I have seen some others. Not that there is every anything wrong with making your own versions, it just wasn’t what I wanted. So I learned a very valuable but not expensive lesson. If you want to give it a try I say go for it. It is no doubt a fun lens just as I found out it wasn’t for me… this time.